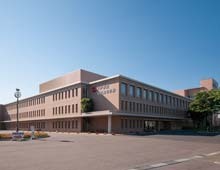 Kosei High School has established various courses school that bring out the individuality of each student. In the ordinary department, there is the “Special Entry Course” for those aiming to go on to national public universities, difficult private universities, medical universities, junior colleges. Entry into the “advanced course” deepens general and cultural knowledge with the aim of going on to elementary schools and other goals, There is a “comprehensive study course” aimed at a sentence-two way. In the departments of specialization there are the “childcare course” and “welfare course”, aiming to train expert human resources such as kindergarten teachers and care workers. The “Business Course” is to foster personnel who aim to acquire many qualifications. There is the “Industrial Technology” Course” and “Automobile Engineer Course” for those aiming to acquire a wide range of qualifications for electricity, construction, and automobile mechanics. Kosei High School is a school with the power to respond to students’ wishes.